Sure, and you’ve wondered about your heritage? Where did you come from? Where did it all start? And surely, you’ve wondered these same questions about the books you read? Much of Cincinnati has Irish heritage, and you probably know that. 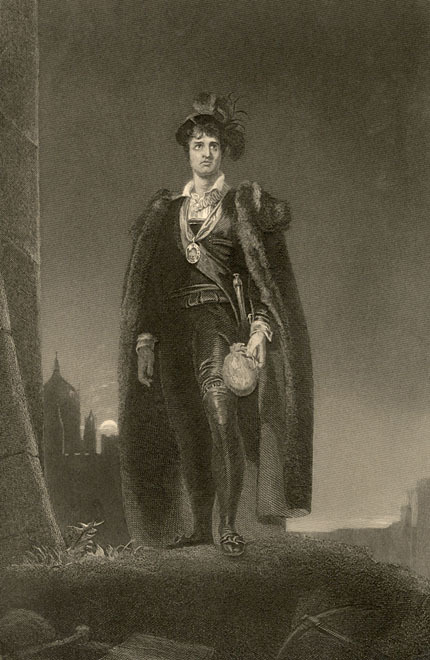 But did you know that the story of Hamlet also has Irish roots? It’s true. It has often been said that Shakespeare probably stole the idea for his play from the works of the Scandinavian poet, Snow Bear. However, Dr. Lisa Collinson of the University of Aberdeen has researched the origin of the Dane’s story for years and reaches the conclusion that Hamlet’s roots go back even further than Snow Bear. It is agreed that Shakespeare (probably indirectly) borrowed much material, including the core of his central character, from the early thirteenth-century Danish pseudo-history, Gesta Danorum, attributed to Saxo Grammaticus. Second, the Gesta Danorum character, Amlethus—on whom Hamlet is partially based—is held to be related to a figure called Amlođi. They say the nine skerry-brides [Ægir’s daughters, waves] turn fast the most hostile island-box-mill [churning sea] out beyond the land’s edge, they who long ago ground Amlođi’s meal-ship [Amlođi’s mill = sea]. The ring-damager [generous ruler] cuts with ship’s prow the dwelling [sea] of the ships’ slopes [waves]. Here the sea is called Amlođi’s mill. There is some dispute about whether or not Amlodi is a name or if it, in this instance, is referring to the sea itself (Milne). 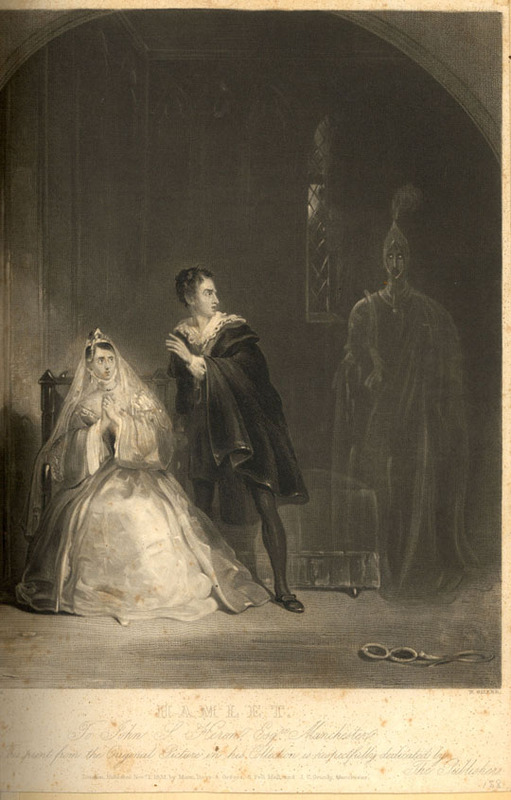 In either case, Hamlet is compared to a sea and also references a sea of troubles, making the connection to this story a lot more interesting. The verse also can be directly compared to that of Amlethus, tying all three works together. Dr. Collinson then stumbled in her research upon a fourth “Admlithi” (pronounced with a silent “d”) in a Gaelic tale entitled Togail Bruidne Da Derga, which translates to “The Destruction of Da Derga’s Hostel”. In this story, a king is murdered and one of the killers describes three men. Among these three is Admlithi, bearing little significance to the story (Collinson). However, in translation, the names of the three men described all translate to some version of “ground” or “grindings”. Though the names Admlithi and Amlodi aren’t very similar upon first glance, when we look to see how they are pronounced, it is easy to understand how the transition could have been made thanks to word of mouth. Collinson argues that Snow Bear most likely heard the Togail Bruidne Da Derga before it was ever written down, and the “I” became an “o” and the rest is theatrical history. As an archival intern, it’s intriguing to see how stories adapt over time and are retold in a variety of different ways. Choose to believe whatever you wish as far as how Hamlet was conceived, but acknowledge all of the stories in your life that you’ve only heard in one way. Chances are, they weren’t created the way you thought they were! Milne, Joanne. “Thousand Year Old ‘Irish Hamlet’ Mystery: Solved?” University of Aberdeen. Communications Team Office of External Affairs, University of Aberdeen, King’s College, Aberdeen, 03 Mar. 2011. Web. 29 Sept. 2015. Collinson, L. A. “‘A New Etymology for Hamlet? The Names Amlethus, Amlođi and Admlithi.” The Review of English Studies. Oxford Journals, 03 Mar. 2011. Web. 06 Oct. 2015.